In their yearly letter, Bill and Melinda Gates called personal DNA tests like the kind 23andMe offers the second-biggest surprise of 2018. The Gateses shined a spotlight on the tests‘ surprising utility in two divergent areas — crime and maternal health. „We didn’t see this coming,“ the Gateses wrote at the top of their annual letter. It’s going to be a big year for at-home DNA tests. The spit-in-a-tube kits, which offer the ability to learn more about your heritage and, to a lesser extent, your health, have spiked in popularity in recent years. 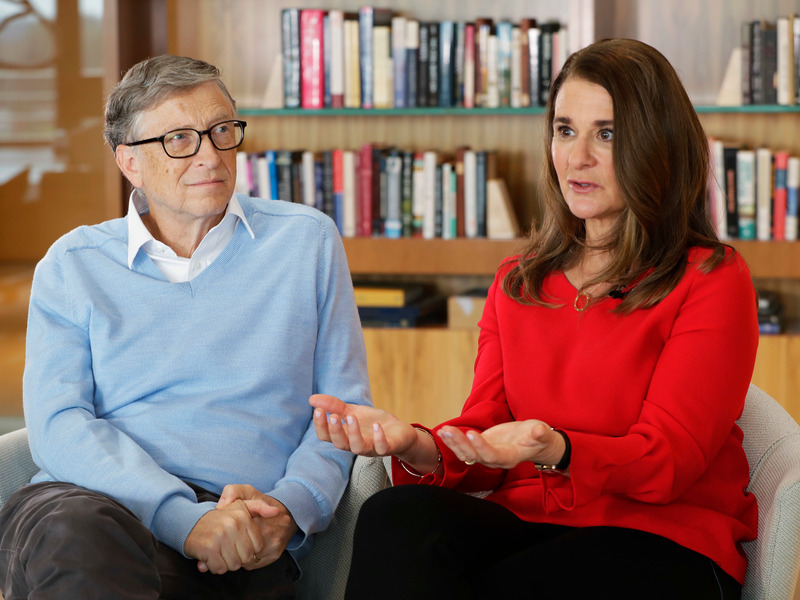 And now that at least 19 million people have used Ancestry and 23andMe’s kits, Bill and Melinda Gates are shining a spotlight on their surprising utility in two fairly divergent areas: crime and maternal health. In their yearly letter, the Gateses called genetic tests the second-biggest surprise of 2018. „We didn’t see this coming,“ the Gateses wrote at the top of their letter. Last year, law enforcement officials used test results from the free genetic research service GEDmatch to help home in on the lead suspect in the Golden State Killer case, Joseph James D’Angelo. By uploading DNA from one of the killer’s crime scenes to GEDmatch’s database and cross-referencing what they found on roughly 23 relatives against the data in census rolls and death certificates, they located D’Angelo and arrested him. “When police used genetic test results to catch the Golden State Killer [suspect] last year, the story made headlines around the world,” Bill Gates wrote in the letter. One of those has to do with maternal health. After scanning the de-identified genetic samples of more 45,000 women who’d taken a 23andMe test, researchers funded by the Gates found a potential link between preterm birth (birth before 37 weeks) and several genetic variants, or tweaks on genes that can differ from person to person. Their results were published in 2017 in the New England Journal of Medicine. One of the variants the scientists looked at occurs on a gene that plays a role in the body’s use of an essential mineral called selenium. Researchers still need to do a lot more research before they learn precisely if, how, and why the mineral affects the risk of preterm labor. But the Gateses said they believe the early discovery helps put scientists on the right path toward a potential solution. „Better tools and more data sharing mean that we’re finally starting to understand what causes babies to be born early — and what we can do to keep them in the womb longer,“ Bill Gates wrote. DON’T MISS: DNA-testing company 23andMe signed a $300 million deal with a drug giant. Here’s how to delete your data if that freaks you out.